Are you a mosquito magnet? We think that female mosquitoes may target humans whose blood is particularly full of proteins or other nutrients important for producing healthy eggs and may target humans whose blood has more of these proteins and nutrients. We also think that humans may release odors that either attract or repel the mosquitoes and that these smells are produced by the bacteria that normally live on our skin and interact with our sweat. It is possible that different skin bacteria may explain differences in how people smell and how frequently they are targeted by mosquitoes. We first need a way to separate out people who are frequently-targeted by mosquitoes from people who are rarely-targeted by mosquitoes. In this pilot study, we will determine the best way to do make this distinction. We will also figure out the best way to measure the health of mosquito offspring and the best way to survey the types of bacteria that live on every human’s skin. 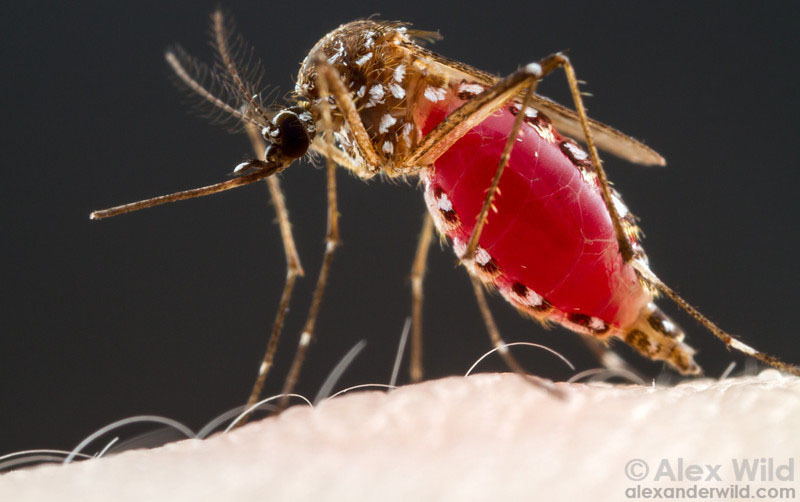 Understanding why mosquitoes choose to bite particular groups of people may eventually allow us to develop new tools to reduce the spread of deadly mosquito-borne diseases such as Zika, malaria, dengue fever, chikungunya, yellow fever, and West Nile fever.